I ran a dog sled today! 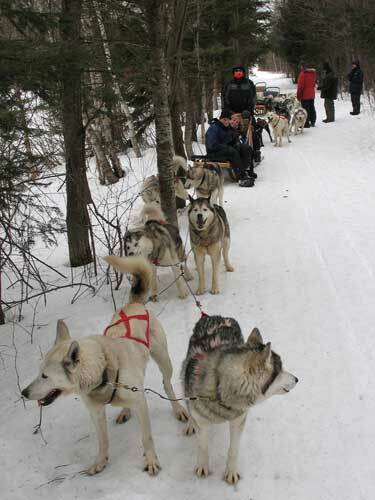 Rather than a ‘tour’ and being a passenger; the guides saw me fit to run a dog sled myself. They gave me some instructions and away we were. It was actually very nerve wrecking initially. You don’t have a sense of control – the dogs just race all they can when you start – and you are responsible for your passenger’s safety. I had to use all my weight and muscle to steer it. Keeping it on track can be quite the challenge on varied terrain with icy patches and too many curves … and trees! All in all: super exciting and well worth it. The thing that really amazed me is how much the huskies love snow and how they love to pull the sled. They run their hearts out.